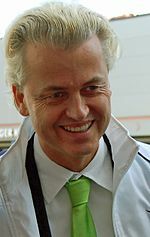 Since the Great Recession, right-wing populist movements such as the National Rally (formerly the National Front) in France, the Northern League in Italy, the Party for Freedom in the Netherlands and the UK Independence Party began to grow in popularity, in large part because of increasing opposition to immigration from the Middle East and Africa, rising Euroscepticism and discontent with the economic policies of the European Union. U.S. President Donald Trump's 2016 political views have been summarized by pundits as right-wing populist and nationalist. 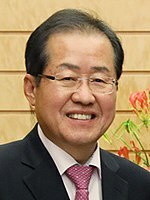 ^ Jang Hoon. "Liberty Korea Party, conservative populism has no future". JoongAng Ilbo. Retrieved 5 April 2018. ^ a b c d e f g h Hans-Jürgen Bieling (2015). "Uneven development and 'European crisis constitutionalism', or the reasons for and conditions of a 'passive revolution in trouble'". In Johannes Jäger; Elisabeth Springler. Asymmetric Crisis in Europe and Possible Futures: Critical Political Economy and Post-Keynesian Perspectives. Routledge. p. 110. ISBN 978-1-317-65298-4. ^ Kuzio, Taras (November–December 2010), "Populism in Ukraine in a Comparative European Context" (PDF), Problems of Post-Communism, 57 (6): 3–18, doi:10.2753/ppc1075-8216570601, retrieved 16 October 2012, Anti-Semitism only permeates Ukraine’s far-right parties, such as Svoboda… Ukraine’s economic nationalists are to be found in the extreme right (Svoboda) and centrist parties that propagate economic nationalism and economic protectionism. ^ a b Eric Micklin (2015). "The Austrian Parliament and EU Affairs: Gradually Living Up to its Legal Potential". In Claudia Hefftler; Christine Neuhold; Olivier Rosenberg; et al. The Palgrave Handbook of National Parliaments and the European Union. Palgrave Macmillan. p. 389. ISBN 978-1-137-28913-1. ^ Christina Schori Liang (2013). "'Nationalism Ensures Peaces': the Foreign and Security Policy of the German Populist Radical Right After Reunification". In Christina Schori Liang. 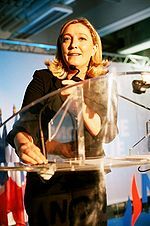 Europe for the Europeans: The Foreign and Security Policy of the Populist Radical Right. Ashgate Publishing, Ltd. p. 139. ISBN 978-1-4094-9825-4. ^ a b David Art (2011). "Memory Politics in Western Europe". In Uwe Backes; Patrick Moreau. 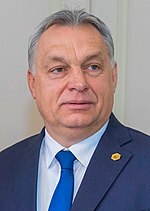 The Extreme Right in Europe: Current Trends and Perspectives. Vandenhoeck & Ruprecht. p. 361. ISBN 978-3-647-36922-8. Ignazi, Piero (2002). "The Extreme Right: Defining the Object and Assessing the Causes". In Schain, Martin; Zolberg, Aristide R.; Hossay, Patrick. Shadows over Europe: The Development and Impact of the Extreme Right in Western Europe. New York: Palgrave Macmillan. ISBN 978-0-312-29593-6.